What a beautiful scene at Griffith Park! I watched the movie “La La Land” last Saturday. This movie was stylish and very Hollywood-like. 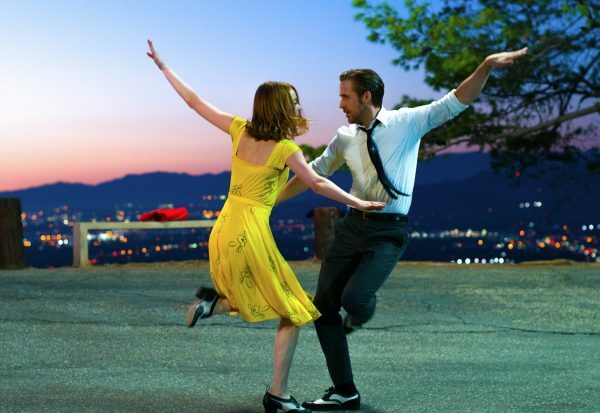 My favorite scene was when Emma stone and Ryan Gosling were dancing on the hill where it has an amazing view of downtown LA. They danced in front of a blaze of light in downtown just towards the evening. Emma Stone got the Best Actress in a Leading Role for La La Land at the Academy Awards (2017). I was particularly impressed the performance in one of the audition scenes. At the scene, her big eyes were getting wet but the casting director interrupted her emotional performance. It made me realize that she is a great actress. On the other hand, the male lead, Ryan Gosling was able to play all the piano sequences seen in the film without the use of a hand double or CGI. I heard that he couldn’t play very well before the movie. But he soaked up the knowledge like a sponge and quickly learned how to play and dance like a pro during filming. Actually his piano playing was very nice. I watched this in an IMAX theater so the ticket was a bit pricey at 2300 yen. I wanted to watch it on a nice screen and with good sound. I watched it by myself. After the movie, I looked around, there were many couples. Maybe they want to watch this romantic musical with their loved ones.